//Support action towards a better political discourse. On September 24th 2017 Germany voted for the next government in a general election with the - in our view - dreaded result of a right wing party entering the political arena. In 2016 the UK voted for the Brexit and the USA voted for Trump. We strongly believe that we must reinvent civil engagement and find ways of helping invent new ways of organising society from the ground up. 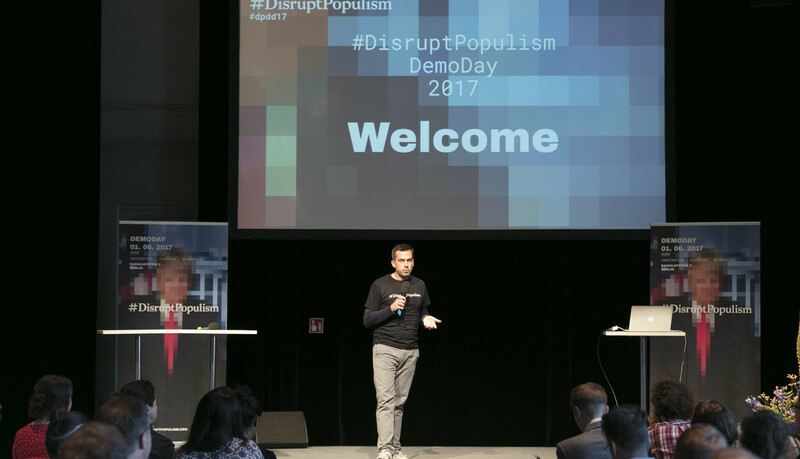 This inspired us to create the DemoDay in June 2017 as a tool to make some of the outstanding projects visible that already try and use technology in creative ways to support and evolve democracy. We gave 30 organisations the chance to present themselves, connect with politics, business, science and the third sector. With the help of Stiftung EVZ, Bundeszentrale für politische Bildung and startnext we could also provide active financial support to some of them as chosen by a jury. Currently we are working on expanding these efforts during 2018 and 2019.